Hearing aids are important for restoring hearing loss, making speech clearer and conversation easier to follow, as well as for the management of tinnitus. Does it sound like everyone is mumbling? Hearing aids vary in style and technical sophistication. Hearing aids need to be chosen so that they suit your type and degree of hearing loss as well as your lifestyle and communication needs. 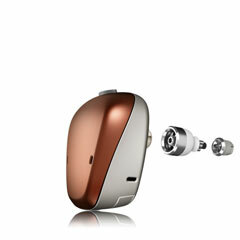 Hearing aid technology is evolving rapidly, hearing aids are becoming smaller and more sophisticated. Many allow for wireless connection to Bluetooth devices such as mobile phones, hearing aid compatible apps and for remote assistance. At Hearelief we pride ourselves in being an independent audiology practice. Hearing aids will only be recommended when audiologically suitable. We provide impartial advice on all brands of hearing aids including Oticon, GN Resound, Phonak, Starkey, Signia, Widex and Unitron. 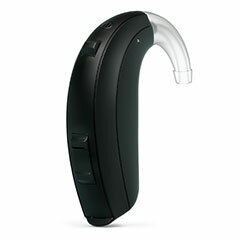 These brands all have wireless technology options which means that you can control your hearing aids from your smart phone, many aids can also connect to Bluetooth enabled devices. 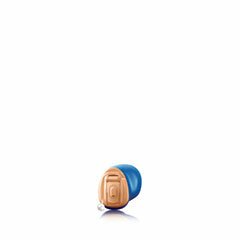 All hearing aid fittings are accompanied by a 30-day money back period. We want you to become happy hearing aid wearers but if you are not happy or do not feel that you have obtained the benefit you are looking for despite adjustments, we are happy to refund your money and return the aids without obligation. At Hearelief we are committed to ensuring that each of our clients attains the best possible hearing outcomes and become happy hearing aid wearers. Improving hearing is just one part of improving communication, we provide ongoing personalised care and auditory rehabilitation. Hearelief will assist you to select the hearing aid that best meets your needs, based on your test results, your lifestyle and communication needs as well as your personal needs and preferences. We provide ongoing and customised support. We will support you to become happy hearing aid wearers through adjusting and customising your hearing aids, along with audiological rehabilitation and technical support. By nature, we are all different and, as such, no two hearing aid solutions or fittings are the same, but support is always available. Contact Hearelief to see if hearing aids are right for you. 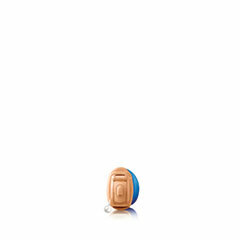 Hearing aids come in a wide variety of styles from a wide range of brands. 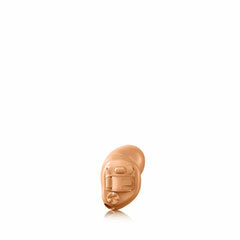 Hearelief can help you to select the hearing aid that best meets your needs. These tiny hearing aids are virtually invisible. They fit deeply inside the ear canal. Due to the small size of the aids you will need good manual dexterity for inserting and removing the aids and for changing the batteries. These aids have a small speaker that sits inside the ear canal while the body of the hearing aid nestles discreetly behind your ear. Many manufactures have rechargeable solutions available in this style. They have capacity for advanced technologies depending on the level of aid you decide upon. These aids are suitable for most ears. They are highly flexible in terms of range and size. Many have onboard manual controls and may provide longer battery life due to the larger battery, or through rechargeable options. A variety of advanced features may also be available. These aids fit into the concha or your ear. As they are a little larger and only involve one component they are often easier to manage if you have dexterity concerns. The batteries are slightly larger, giving improved battery life and onboard controls are larger for ease of use. They may also contain advanced features depending on the level of technology chosen. These aids are still very small but, because they are slightly larger, they may be able to include advanced technology features which are not available in smaller models. The batteries are slightly larger for improved battery life and inclusion of onboard manual controls. These aids are very discrete as they sit completely in the ear canal. Because they are so small, they are often not able to incorporate some of the advanced technology features of larger aids. You will need good manual dexterity for changing batteries, inserting and removing the aids. 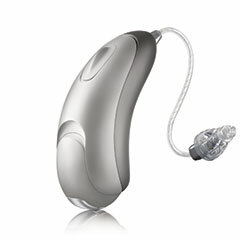 These are a specialist hearing aid that makes use of the body’s natural ability to conduct sound through bone. It requires surgical implantation of a prothesis and an external hearing aid. For appropriate candidates they are a wonderful solution to specific hearing losses. Contact Hearelief to learn more about our range of hearing aids. With so many different types of hearing aids available, choosing the right one may seem overwhelming. During a comprehensive hearing assessment we will take the time to understand your specific hearing loss, listening needs and other personal factors to determine the most suitable option for you. Hearelief is a fully independent clinic. Our hearing aid recommendations are based on both you and your lifestyle needs and are in accordance with the Australian Competition and Consumer Commission guidelines. 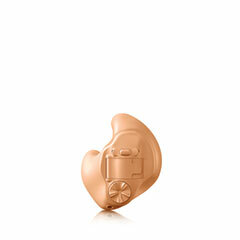 Hearelief can offer hearing aids from any major hearing aid manufacturer. We do not have a preferred manufacturer. Our advice is fully independent and based upon your needs and preferences. Factors that will influence which aid is most suitable for you. The type and severity of your hearing loss. The size and shape of your ear canal. Your lifestyle and manual dexterity. During a hearing aid discussion, we will provide you with information about the different styles and features of hearing aids from different manufacturers. A recommendation will be made based upon your hearing loss, listening needs, dexterity and preferences. Information about your rehabilitation program will also be provided at that time. Our hearing aid fittings are accompanied by individualised hearing rehabilitation programs with include counselling regarding your listening goals and expectations, communication training exercises, environmental adjustments and suggestions for how friends and family can also help. Hearing aids are an important component of your hearing rehabilitation, but they are most effective when included in an auditory rehabilitation program. It is important that you wear your hearing aids consistently in a variety of listening situations so that your brain can begin to adjust to, process, interpret and use the sounds that you have been missing out. Speak to our qualified audiologist about which hearing aid is right for you.